At a recent event, the Conservative MP John Redwood told me that, even though it’s cynical, the only way politicians can get away with reducing benefits or limiting tax concessions is to follow the principle that “what they ain’t had they’ll never miss”. So, he explained, if you want to cut a benefit such as free bus passes you do that only for the newly retired and you leave the perk in place for those who already enjoy the benefit – taking away existing free bus passes would generate fierce resistance. 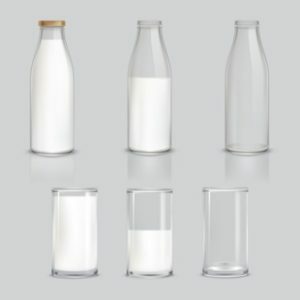 In the 1970s Margaret Thatcher phased out free school milk by making sure that children who were used to getting it continued to receive it until they left primary school but new, younger children would not be entitled to it. Even so, protesters labelled her “The Milk Snatcher”. Over recent years we have seen this tactic employed by politicians time and again. Older government employees received “final salary” pensions whereas younger ones were shifted to the less generous “career average” pensions, but this change was phased in so that anyone in their 50s would still get the final salary arrangement. In this case, government didn’t only protect benefits for those who were already receiving them but protected those who were anticipating getting them. Similarly, £9,000-a-year tuition fees were introduced for new students while those who had started at £3,000-a-year stayed at that level until they graduated. So there were £3,000-a-year students working alongside £9,000-a-year ones, but no individual suffered a hike in what he/she was paying. Many taxes have been changed in the same way – such as taxes which work like an entry pass: stamp duty on buying a house was very low when most of the baby boomer generation bought their homes, but it’s much higher now as Millennials are purchasing their flats, so the effect is that older buyers were taxed much less heavily. Similarly, MIRAS (mortgage interest relief at source) was a way in which older generations got tax relief on mortgage payments, but young people have never had sight of this benefit so they seem not to resent the fact that they don’t get it. When the government started reducing the amount you could put into pension schemes, it didn’t worry older generations much because their contributions had already been made and they were allowed to freeze their “lifetime allowances” at a higher level. This represented an additional source of generational advantage on top of the private “longevity dividend” – where people live longer than expected and get very much more in pension payments than they paid for. The effect of following the principle of not taking away things that people already have, even though the benefits are no longer available to younger people, represents systematically more generous treatment of the old than the young. We’ve seen it in tuition fees, benefits, taxation, pensions, and housing, but does it always have to be like this? Maybe not. If we recognised such change as “intergenerationally regressive”, or simply unfair on the young, we could try to protect against finance ministers making changes in this way. Perhaps an intergenerational ombudsman could have the job of challenging unfair measures of this sort and could even try to find ways to reimburse younger generations for past unfairnesses. But at heart this is a problem of human nature: people really do not miss what they haven’t had – and it’s unfair of governments to take advantage of this aspect of human nature in order to take extra resources from younger people.